A couple of weeks ago, I picked up a couple of beauty bits from LIDL – Weird place to pick up beauty supply you may think, that’s my point. To this point on it could have been a massive fail or a great success. 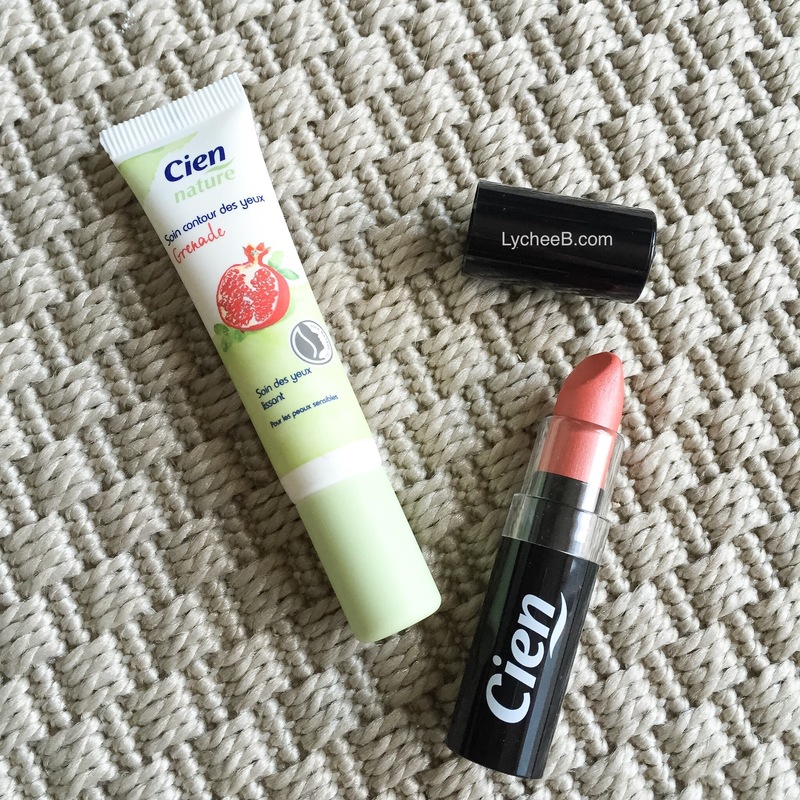 I picked up an eye cream from Cien Nature with pomagranate, suitable for sensitive skin as well as a coral lipstick from Cien for 1,99e each. I was surprise I have found a colour I liked in there because I found the colours of the individual shadows and nail polish being off for my taste. The lipsticks’ colours where on the other hand really pretty but had only a few of them left. A only one Coral, which is now mine. The easiest to try was the lipstick: I like the colour, lasted very well but can dry out the lips a little bit. There are better alternative on the market but not at its price point. I really like the colour of it though, just use a lip balm underneath and you are good to go. I am not one to compromise with my eye creams. I have used up at least 7 pots of BOBBI BROWN extra eye repair cream (2 pots a year on average) and despite its price and my tendencies to try other eye cream to find a cheaper but still as efffective alternative, I pretty much always end up buying a brand pot. I got attracted to the fact that this CIEN NATURE is organic and based on natural oils. After two weeks of test, I can now say I went back and got back ups of this cream from my local shop because for its price point I AM IMPRESSED!!!! I don’t think I’ll be totally replacing my BOBBI BROWN pot of wonder with one for now, but it is a good alternative to using it too often. I normally use it at night and my more expensive one in the morning, because the BOBBI BROWN one has an SPF of 25. 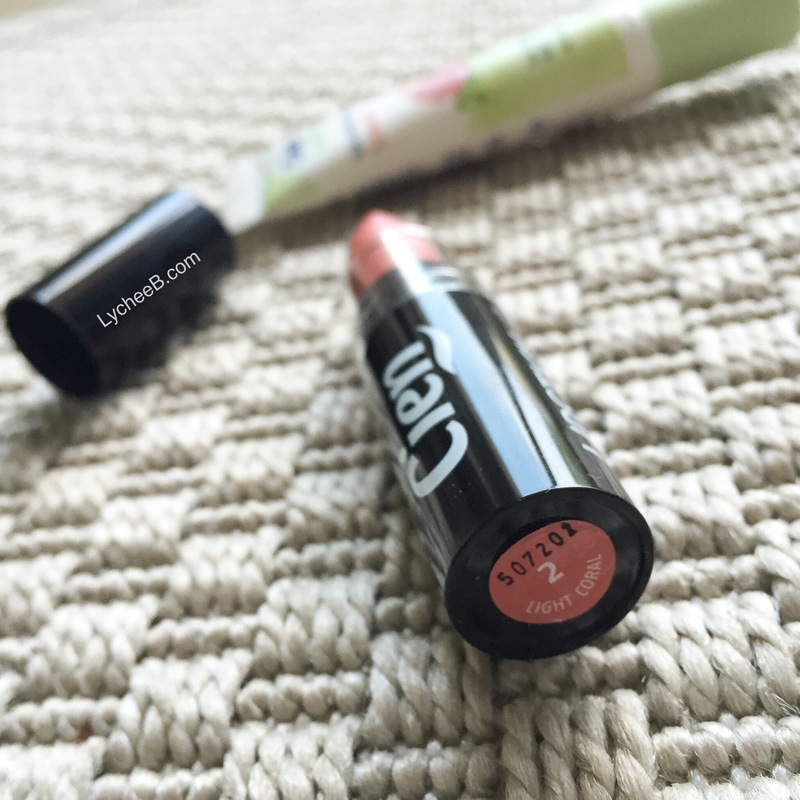 If CIEN looks like a questionnable beauty brand because you can find it a discount store. Do not be fooled, it is actually a decent brand which does nice product for a decent price point. That being said, I have not been sponsored by anybody to say this. A good product does not necessarily mean well known or expensive brand. Some brand such prefer not to add extra cost to their product by skipping the marketing side of it. Previous PostPrevious How to survive your first full time job: fashion, beauty and food.